Born on the island of Jamaica and raised in Queens, NY, Chef Lloyd Roberts brings a background steeped in cultural diversity and flavor to his cuisine. 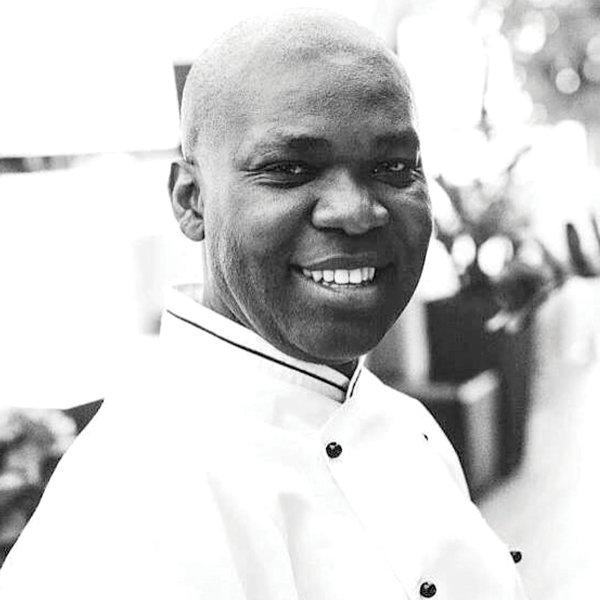 Chef Roberts’ first foray into the culinary world occurred while he was a college student and worked part-time for the well-known Queens catering establishment Terrace On The Park. He spent several years in the catering field, working his way up the management ladder as well as learning much about Front Of the House management and catering large scale functions. ​After a brief stint in the corporate arena, Chef Roberts decided to re-enter the culinary world by attending the Art Institute of New York City. After graduating the Art Institute, he landed a much coveted position in the kitchen of the world-renowned chef Jean-Georges Vongerichten in the trendy, midtown restaurant Vong. Learning the craft of fusing Asian and French flavors from the best in the business, Chef Roberts subsequently used his skills at the Bar Room at MOMA, where he practiced classic and nouveau French cuisine. ​Mr. Roberts continued to hone his culinary expertise under the tutelage of another world premier chef, Nobu Matsuhisa, when he accepted a position at the then newly opening Nobu 57. At Nobu 57 Chef Roberts added a new type of fusion cuisine to his repertoire that of Japanese and Peruvian flavors. He went on to become Head Chef for Nobu Moscow, and Nobu Budapest.